Stone Fruits Are Optimal with Soft Exterior, Hard Interiors! As members of the Prunus genus species, it’s not a coincidence that peaches, nectarines, plums, apricots,cherries and their hybrids (e.g. 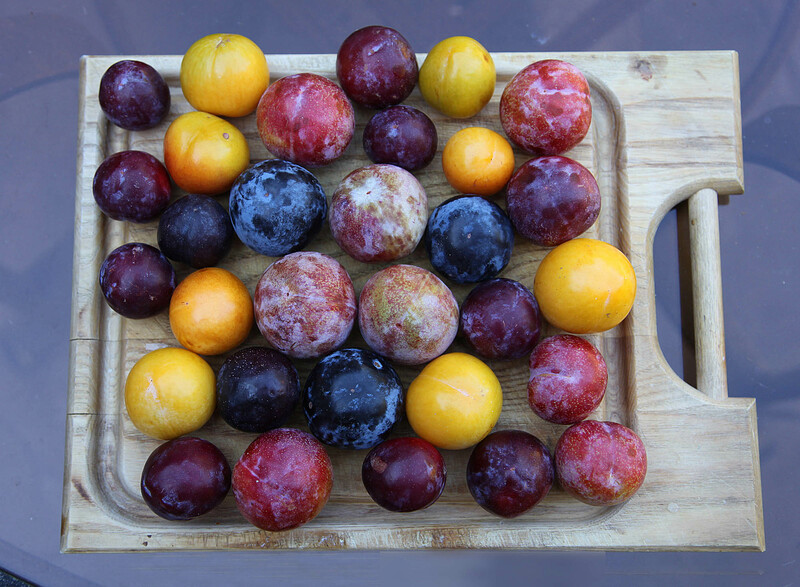 pluots and apripums) are more alike than different. These fruits are grouped in the ‘stone fruit’ family due to their large, hard seed. Often times these fruits are picked when underripe to limit bruising during transit. When choosing stone fruits, gently squeeze, choosing those that yield sightly. Peaches and plums should not have any green or wrinkly patches. To store, It’s best to opt for stone fruits that are full of color and leave stem end down at room temperature for a few days to allow them to soften to optimal texture. No need to place in the fridge until ripe as stone fruits can develop a mealy skin. Cherries can be placed in fridge right away and should be used within 10 days of purchase. We’re at the end of the stone fruit season, which is between June through September, with stone fruits susceptible to injury from low winter temperature. Nectarines are more likely to brown rot as they are more susceptible to disease organism, while cherries will crack if there is an excess of rain. You may be asking why go to all the trouble to get these fruits in season? Packed with fiber, potassium, vitamin A and C, these tiny fruits should be a mainstay in your house during June through September. If you’ve ever been past the Mason Dixon line, you may start to expect to see peach cobbler as a mainstay of desserts. Since my parents moved to Georgia in 2012, I’ve learned to appreciate peaches more than ever. 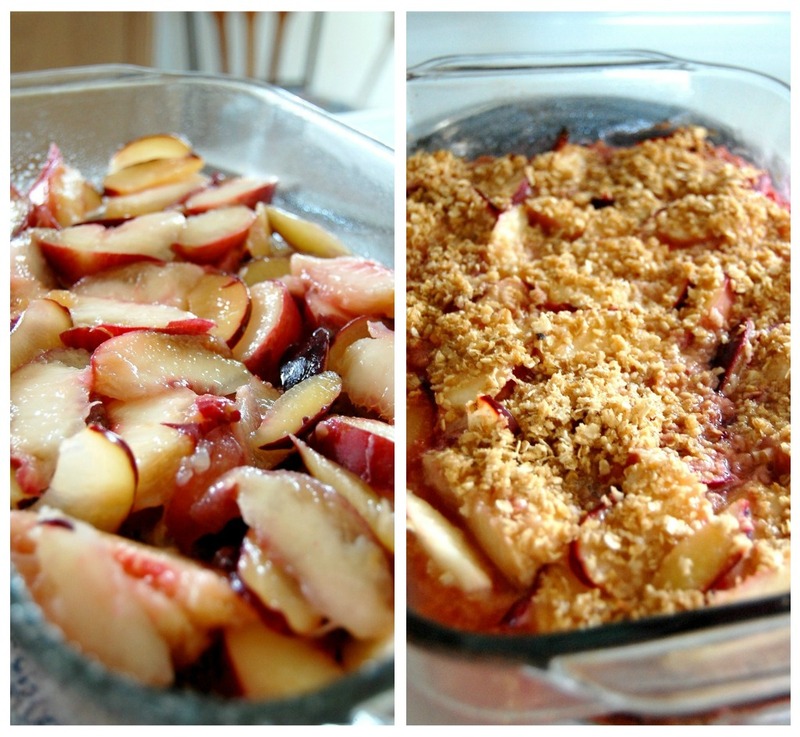 I’ve experimented a bit with making peach cobbler myself, finding that All Recipes’ Peach Cobbler recipe is the best! The recipe calls for a 1/4 cup of white and 1/4 cup of brown sugar, which isn’t too bad in comparison to other recipes, where I’ve seen up to an entire cup of sugar requested! Stone fruits are a perfect addition to any cobbler, cake or pie, but it’s natural, pure form as a fruit is equally good or roast, poach or saute with your next meal! Plus, when it’s just ripe enough, it doesn’t get much better than a juicy peach! Other fun ways to incorporate stone fruits into dishes are as jams, chutneys, fruit salsa, grilled fruit, add to a salad and/or in breakfast cereal or yogurt! Enjoy!